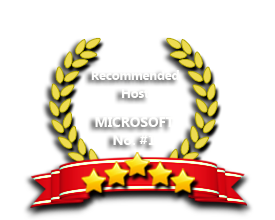 ASPHostPortal is the leading provider of Windows hosting and affordable WebDeploy 3.6. Our price starts from $4.49 per month. The Web Deployment Tool simplifies the migration, management and deployment of IIS Web servers, Web applications and Web sites. Administrators can use command-line scripting with the Web Deployment Tool to synchronize IIS 6.0, IIS 7.0 and IIS 8.0 servers or to migrate an IIS 6.0 and IIS 7.0 servers to IIS 8.0. If you register after 1st Dec 2011, your account is certainly activated on our Windows Server 2008 or Windows Server 2012. This means that you can request for the Web Deploy to be enabled on your site directly and we do not have to migrate your site to another server anymore. There is a one-time $15.00 setup fee to have this feature enabled on your site. If you register before 1st Dec 2011, your account may still be activated on our Windows Server 2003. Since Web Deploy only works on Windows Server 2008 or higher, you need to contact our Support Team to have your account and site migrated to our Windows Server 2008. One-time migration fee applies and there is also an additional a one-time $15.00 setup fee to have this feature enabled on your site. Our Windows Cloud Hosting fully supports Web Deploy 3.6 hosting. You are more than welcome to try our Free Windows Cloud Hosting before you decide to buy. You can get your Free Cloud Windows hosting account up and running within the next few minutes.